Saturday, April 13th is our Regional Campus trip to Universal Studios! Join NSU Palm Beach and your fellow Sharks from the other NSU Regional Campuses for a fun-filled day at Universal Studios Orlando! Event includes park hopper admission to Universal Studios and Islands of Adventure, round-trip bus transportation from the NSU Palm Beach Campus, and tee shirts. Student + 1 Guest: $165.00. At this time, students can purchase a maximum of 2 tickets (one for themselves and one for a guest). Park tickets and tee shirts will be distributed as you enter the bus on Saturday morning, April 13. We ask that you only purchase tickets if you can attend on this date. You must meet at the NSU Palm Beach Campus at 6:45am on event day. The bus will return at an estimated 10pm. All bus riders must be at least 18 years of age. Please contact SaTampa@nova.edu if you have any questions. We look forward to seeing you there! Park tickets are limited. Once tickets sell out, this link will close. No additional tickets will be ordered. Bagel Wednesday continue in the first floor lounge, while supplies last! Starts at 8:30AM! Fruit Friday continues every other Friday for the semester, in the first floor lounge while supplies last! Starts at 8:00AM. 3 tacos on us! 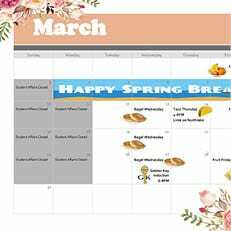 Additional food and beverages will be at your own cost. When you arrive just check in with me to receive your taco voucher! Congratulations to those that were selected to be a part of Golden Key Honor Society! The Palm Beach Induction Ceremony will be on Wednesday, March 27th. 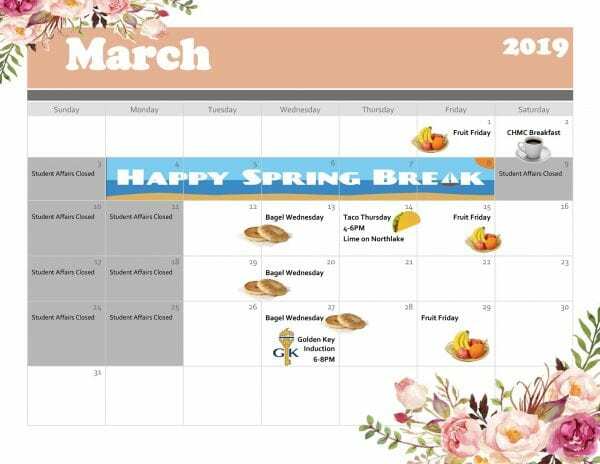 Be on the lookout for additional events! SGA will be hosting a day of service event during the last week of March. More details to come! Tee shirts * Hoodies * And…FREE PIZZA! Please bring cash or check for SWAG payment. 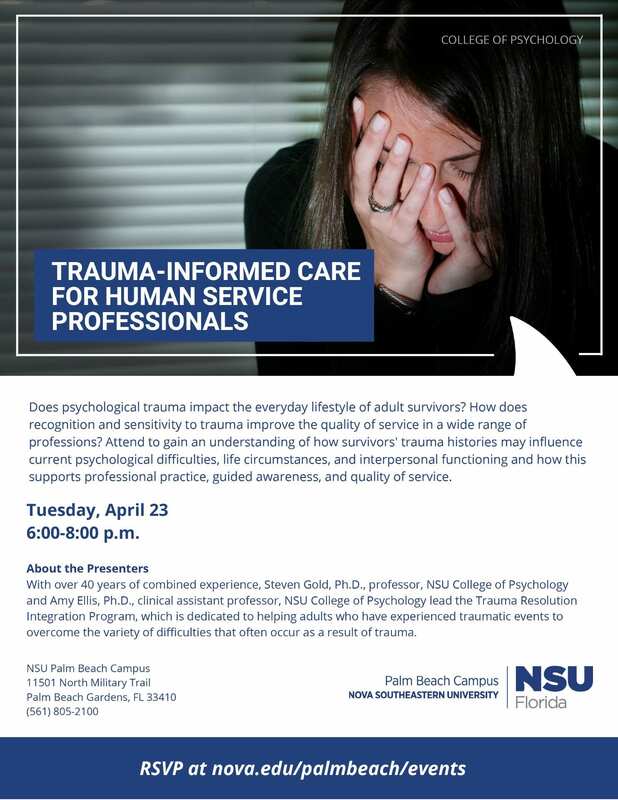 Join us on Tuesday, April 23 from 6:00-8:00 p.m. to gain an understanding of how survivors’ trauma histories may influence current psychological difficulties, life circumstances, and interpersonal functioning and how this supports professional practice, guided awareness, and quality of service.